(BGF) – This article, by Robert Haddick and published by ForeignPolicy.com, discusses China’s actions and territorial disputes in the South China Sea. Haddick describes China’s actions, which often encroach upon the territorial and economic claims of its neighbors that are established by the United Nations Convention on the Law of the Sea (UNCLOS), as “salami slicing”: “the slow accumulation of small actions, none of which is a casus belli, but which add up over time to a major strategic change”. Viewing China’s actions in the South China Sea within the “salami slicing” framework, Haddick goes on to address the implications for the United States’ strategic economic and security interests in the region, as well as for China’s neighbors in the South China Sea. To read the full article visit ForeignPolicy.com. Pentagon recently commissioned recommendations from the Center for Strategic and International Studies (CSIS) on its military basing plans in the Pacific. CSIS’s June 27 report recommended that the Pentagon reallocate forces away from Northeast Asia and toward the South China Sea. Specifically, CSIS called on the Pentagon to base more attack submarines in Guam, beef up the Marine Corps’ presence in the region, and study the possibility of basing an aircraft carrier strike group in Western Australia. The South China Sea is undoubtedly heating up as a potential flashpoint. Disputes over territory, fishing rights, and oil leases have accelerated this year. A recent ASEAN conference in Phnom Penh, Cambodia, aimed at making progress on a code of conduct for the South China Sea,collapsed in acrimony and failed, for the first time in 45 years, to agree on a concluding joint statement. Vietnam and the Philippines were particularly upset that their Southeast Asian neighbors made no progress on a unified stance against Chinese encroachments in the sea. The increase in U.S. military power in the region, called for by both the CSIS report and by U.S. Defense Secretary Leon Panetta in a June speech in Singapore, is designed in part to deter overt aggression, such as a sudden restart of the Korean War or a Chinese blitzkrieg against Taiwan. To the extent such scenarios are now considered highly remote, the U.S. military presence in the region is doing its job. But what about an adversary that uses “salami-slicing,” the slow accumulation of small actions, none of which is a casus belli, but which add up over time to a major strategic change? U.S. policymakers and military planners should consider the possibility that China is pursuing a salami-slicing strategy in the South China Sea, something that could confound Washington’s military plans. 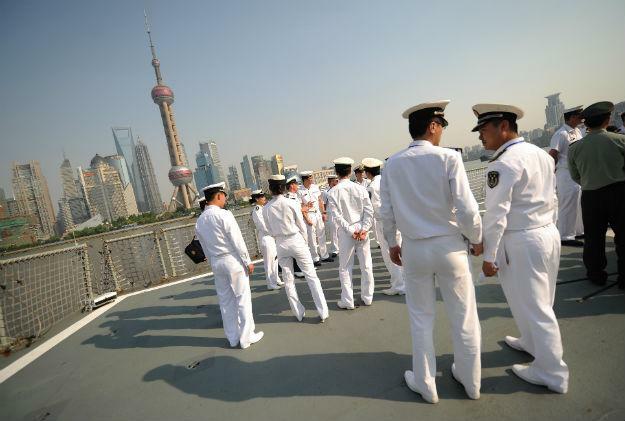 Appendix 4 of this year’s annual Pentagon report on China’s military power displays China’s South China Sea claim, the so-called “nine-dash line,” along with the smaller claims made by other countries surrounding the sea. A recent BBC piece shows China’s territorial claim compared to the 200-nautical mile exclusive economic zones (EEZs) that the United Nations Convention on the Law of the Sea has granted to the countries around the sea. The goal of Beijing’s salami-slicing would be to gradually accumulate, through small but persistent acts, evidence of China’s enduring presence in its claimed territory, with the intention of having that claim smudge out the economic rights granted by UNCLOS and perhaps even the right of ships and aircraft to transit what are now considered to be global commons. With new “facts on the ground” slowly but cumulatively established, China would hope to establish de facto and de jure settlements of its claims. In April, a naval standoff between China and the Philippines occurred when Chinese fishing vessels were caught inside the Philippines EEZ near Scarborough Shoal. The standoff broke up after several weeks without a resolution of the underlying legal issues. Separately, the Philippines now intends to begin drilling for natural gas in the Reed Bank near its Palawan Island, a program to which China objects. A Chinese naval frigate recently ran aground 90 miles off Palawan; last year, Chinese warshipsthreatened to ram a Philippine survey ship near Reed Bank. Across the sea, and on the eve of the ill-fated Phnom Penh summit, the China National Offshore Oil Corp. (CNOOC), a state-owned oil developer, put out a list of offshore blocksfor bidding by foreign oil exploration companies. In this case, the blocks were within Vietnam’s EEZ — in fact, parts of some of these blocks had already been leased by Vietnam for exploration and development. Few analysts expect a foreign developer such as Exxon Mobil to legitimize China’s over-the-top grab of Vietnam’s economic rights. But CNOOC’s leasing gambit is another assertion of China’s South China Sea claims, in opposition to UNCLOS EEZ boundaries most observers thought were settled. To read more, visit ForeignPolicy.com.